The Way is hard that leads to life. For most of us, we want the easy way. From the time we’re babies we learn that if we cry, we will immediately be soothed with a pacifier or loving arms. We are not wired to readily accept and embrace hard. At our core, we desire easy, we desire comfort. We may have even been told that loving Jesus and “accepting Him” will make our lives easy. We enter in a relationship with God expecting Him to take our problems away, give us health, wealth, and prosperity. We think the path that leads to peace should be easy. But instead, Jesus teaches us here, it’s hard. It’s narrow. At first glance, narrow and hard seem restrictive, unattractive, maybe even impossible. We glance over to the ways of the world, the ways of immediate satisfaction and instant gratification, and think surely this must be the way to happiness, to eternal bliss. We tamper around with the way that is broad, the way of drunkenness, lust, materialism, etc. and we think that those things will bring satisfaction, when they really end in destruction. What we can’t see is after the narrow gate, after the hard way, is the green pasture, the pasture of life and life abundant. We don’t get our best life now, we are being prepared and molded for our best life in eternity, forever. When we live for the moment, seeking pleasure here and now, we miss the blessing of life abundant in Christ. We can look at the wide gate and enter in, only to be disappointed once we’re on the other side. Or we can take the hard way, through the narrow gate, and find ourselves in bliss and delight forevermore. 1. 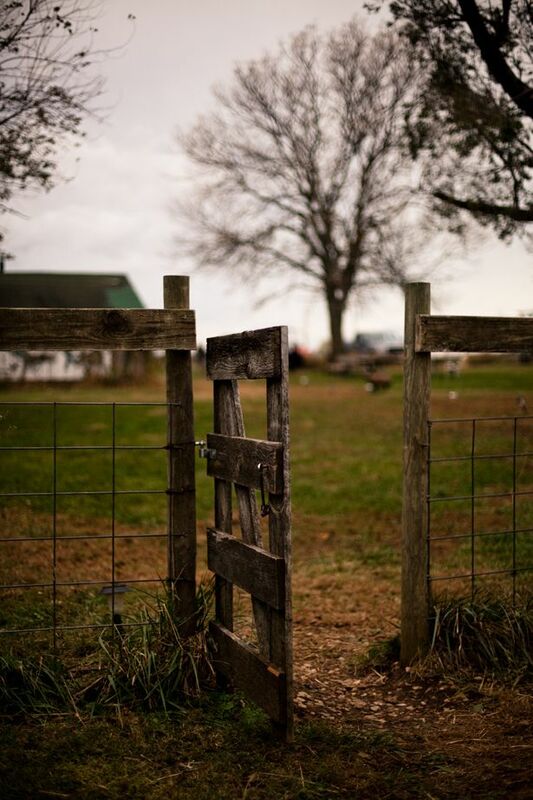 What are some things in today’s culture that might seem like “wide gates” or “narrow gates”? 2. Read John 10:1-10. What does Jesus refer to Himself as? What does he promise us at the end of verse 10? 3. What are some ways you are tempted to follow the path to the wide gate?